"The book is the best I have found for coverage of the important material in a style that combines research methods and statistics. I was very excited to see the book when it was first published. I met Dr. Jackson, who seemed very eager to provide the information we need to use in a class combining research and statistics." 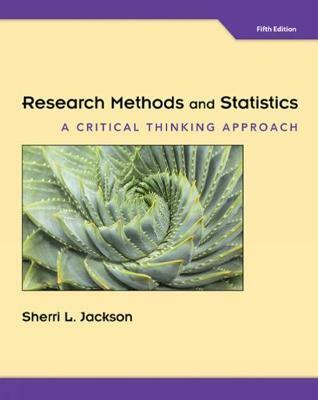 "[This is] one of the most clear, concise, and well-written statistics books for undergraduates I've used."